I’m helping a friend redecorate her teen’s bedroom as a surprise birthday present. It’s a small attic room, which her daughter wants to have “individuality” – her word. Ideas please and thank you. It doesn’t take much to charge up a small space. But this is a brave move as surprising a teen can backfire if you try to guess what colour’s they prefer. Hopefully you can get her wish list before you take the plunge. One of my most successful projects is decorating lampshades. It’s easy to do and you can be as creative as your imagination allows. Here are two very different styles. 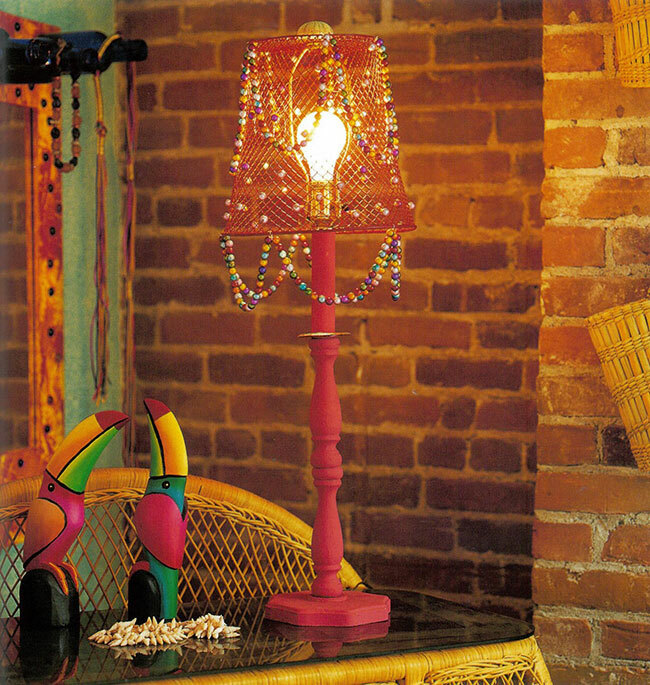 The wire lampshade was made for a teen who wanted lots of colour and funky design. We went with Caribbean style and used bright paint and an assortment of beads to build the theme. We painted an old wooden lamp in vibrant coral. For the shade a wire wastepaper basket was spray painted and decorated with strings of beads. 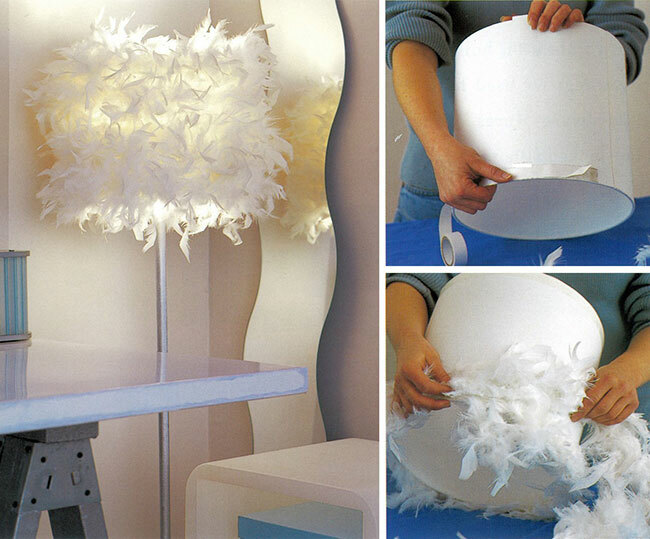 As a one-of-a-kind treatment, this feather lampshade really stands out. I dressed up a cylinder lampshade with a couple of white feather boas. You’ll find these at craft stores in a variety of colours, but it’s the white ones that produce a soft diffuse light. 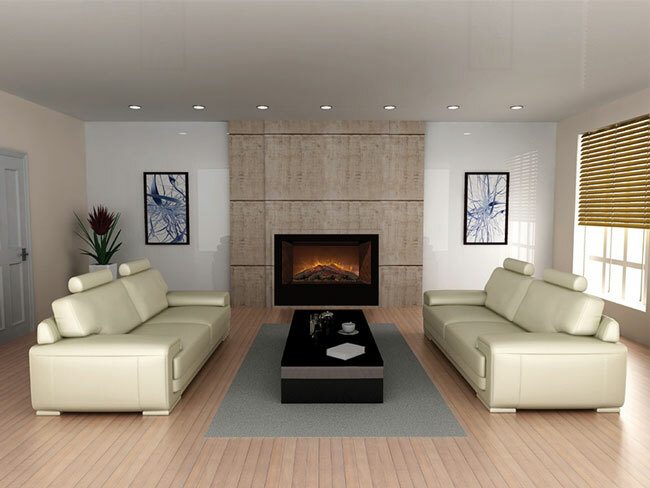 It takes on a magical quality as it sways gently with any movement in the room. To make the shade, remove the paper from one side of a piece of two-sided sticky tape and stick the tape to the bottom and top rims of the shade. 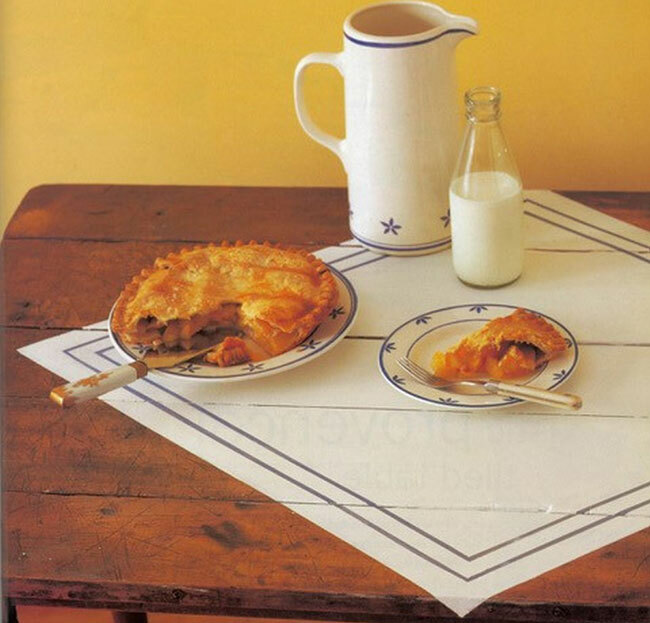 Spray the outside surface of the shade with permanent adhesive. Start at the bottom, remove the paper from the sticky tape and attach the boa first to the sticky tape and then move up and around the shade. Attach the second boa where the first ends. Remove the paper from the top piece of tape and finish by wrapping the boa around the tape. Cut off any excess. Our whole family is hockey crazy … kids and adults play and are glued to the set for every game we can find when we aren’t on the ice. I remember you made a desktop look like ice and hope you can share with us how you did it. Thanks.